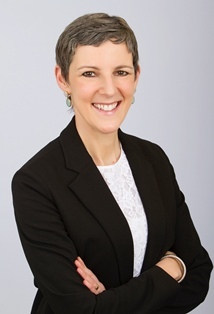 As founder of Courtyard Connections, LLC, Lori Marcus provides strategic direction, marketing and business leadership to corporate, private equity and venture capital-backed entities. Currently, she chairs the Kraft Precision Medicine Accelerator’s Direct-to-Patient Initiative at Harvard Business School, where she is charged with bringing best in class direct-to-consumer practices to the direct-to-patient arena. Most recently, Ms. Marcus was the interim Global CMO for Peloton, an early stage, technology-driven fitness innovator. Prior, Lori was EVP, Chief Global Brand and Product Officer at Keurig Green Mountain. Ms. Marcus serves as Chairman of the Board for DDC (DNA Diagnostics Center), a leader in private DNA testing services and Board Director for Talalay Global, a manufacturer of premium bedding. She is also a board member for SHARE Cancer Support and Vice Chairman of the Board for the MMRF (Multiple Myeloma Research Foundation). In addition to her board director work, Ms. Marcus serves as a board advisor to early stage company, working closely with founders of digitally native companies like Meural Canvas, Laudi Vidni and Sukoon Interactive. She earned her BS degree in Marketing from the Wharton School of Business at the University of Pennsylvania.